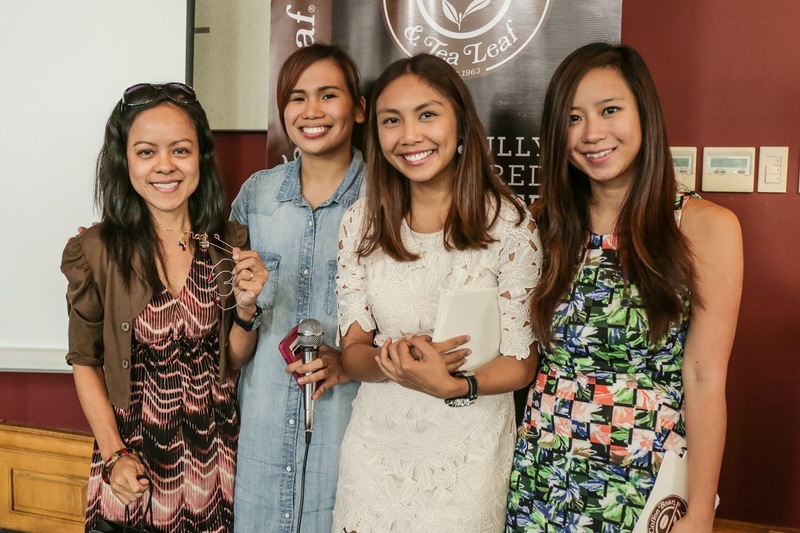 I was invited to the artsy, crafty launch of the Coffee Bean & Tea Leaf 2015 Giving Journal held at the 26th Bistro in Bonifacio Global City. 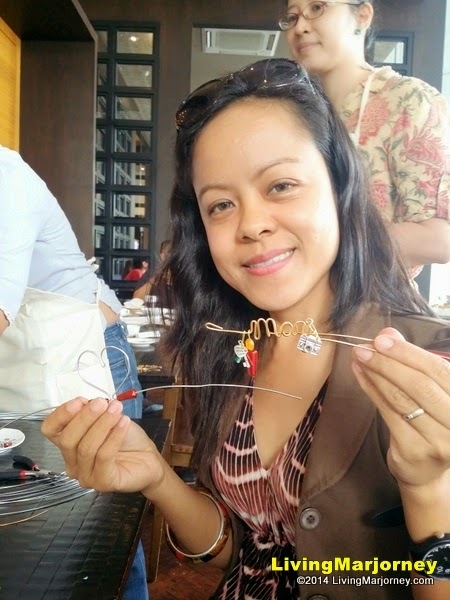 With the help of artistic and fashion blogger Ana Gonzales, for the first time, I learned how to make a lovely wire bookmarks. I even won during the IG photo contest! 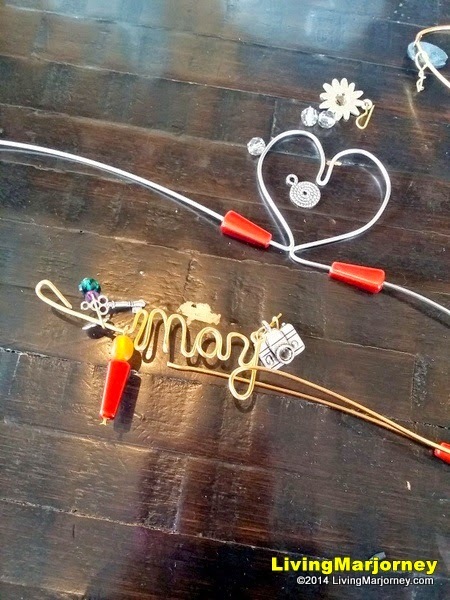 Thanks Ana for sharing your talent! 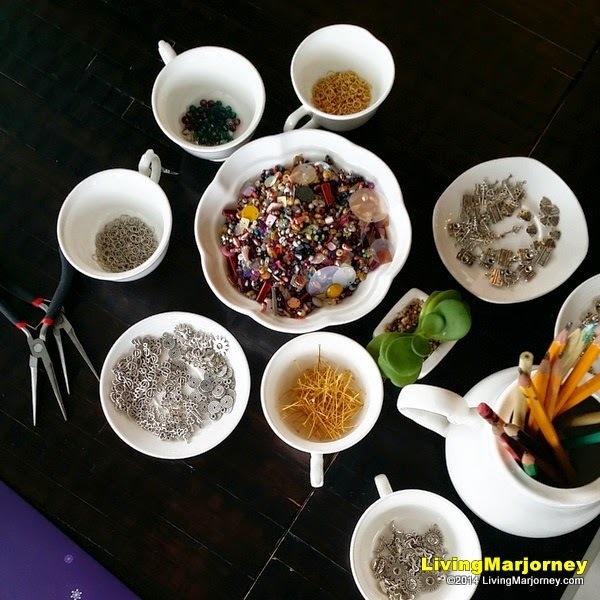 It was a fun activity although at first I don't know how to start but as we go along I found it very interesting that even kids can do (of course with adult supervision). 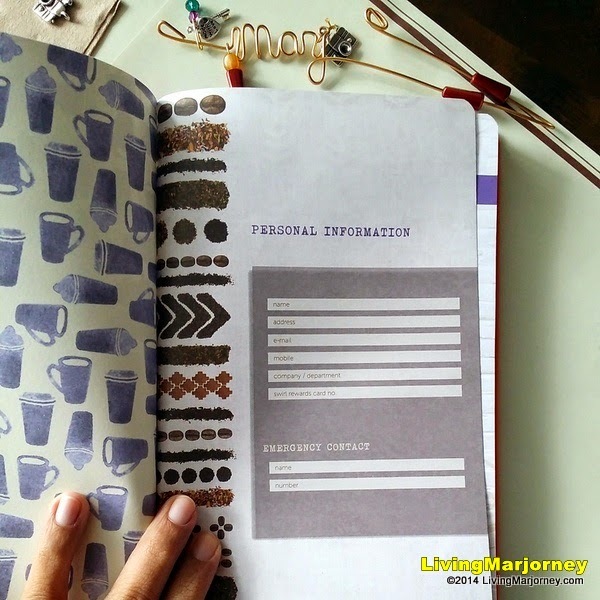 After the activity, the much awaited reveal for the 2015 Giving Journal happened. 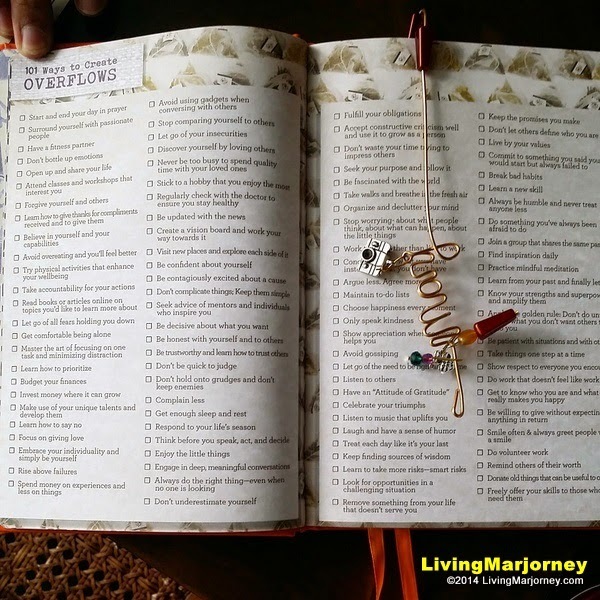 For 2015, the theme of the Giving Journal is to provide the inspiration to create OVERFLOWS in one’s life. 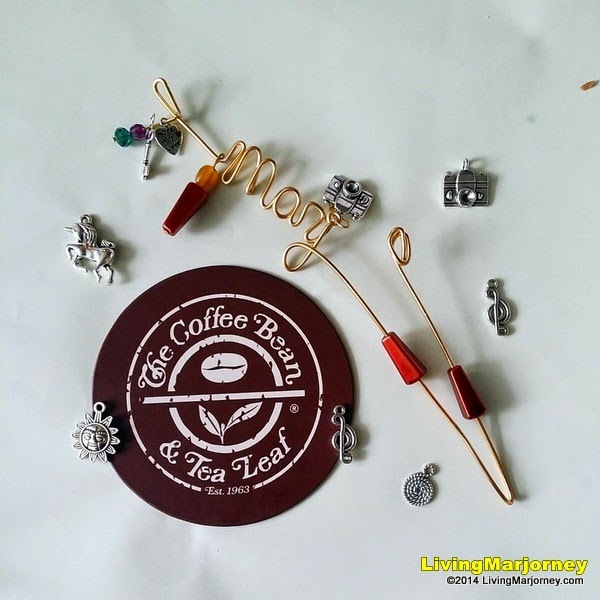 The Coffee Bean & Tea Leaf® desires for all of us to thrive and live in abundance when it comes to developing personal fulfillment & growth, strong relationships, and a joyful spirituality. To give to others, one must first have something to give, and the Giving Journal empowers us to become the best versions of ourselves. 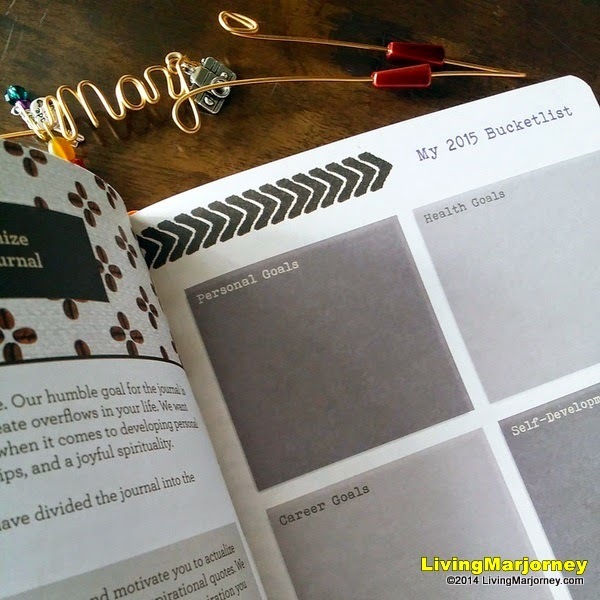 Giving Journal has pages upon pages of great features centered on giving back. 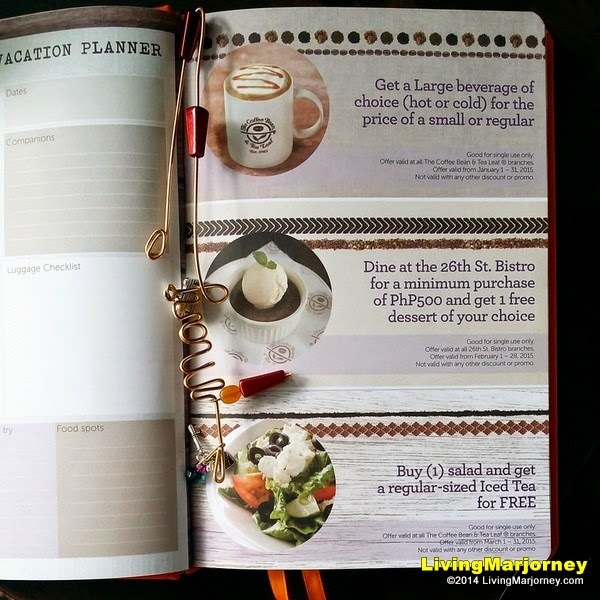 Here’s a preview of the 2013 CBTL Giving Journal pages. 1. Get a stamp card with a minimum single-receipt purchase of a regular or large sized Original Ice Blended®, Espresso/Coffee-based, or Tea-based Beverage, Frozen Swirl or CBTL™ capsules. 3. Complete 12 stamp circles IN ONE STAMP CARD and claim your 2015 Giving Journal at any The Coffee Bean & Tea Leaf® branch. Combining of stamps cards is not allowed. 5. Promo period is from October 25, 2014 to January 11, 2015. Giving Journals may be claimed beginning October 25, 2014 until 60 days after the promo has ended. 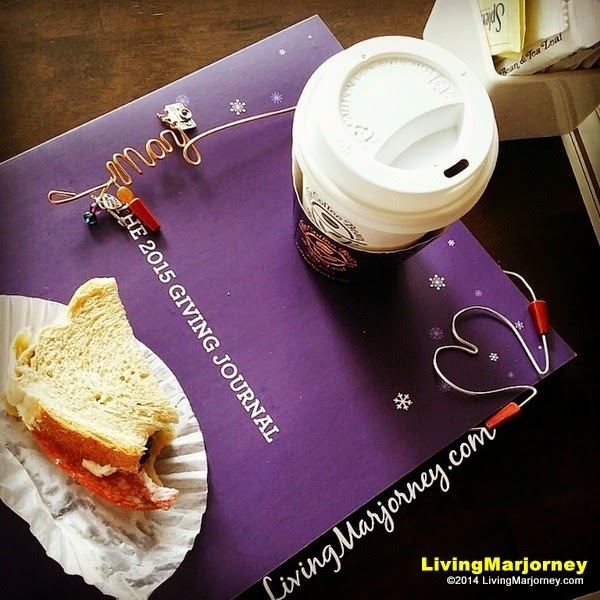 The Coffee Bean & Tea Leaf® brings the spirit of the Giving Journal to life through partnerships with various social organizations and championing volunteerism through their Customers and Team Members. The company has raised more than P10M for a number of advocacies since 2008, but more importantly, has been able to create much needed awareness for truly worthy endeavors like Habitat for Humanity and Real LIFE Foundation. Through LIFE scholarships, poor but deserving scholars are given the material and financial assistance they need to finish their high school and college degrees. The scholarships are supplemented by LIFE coaching, where mentors help equip scholars with the values and skills they will need to succeed in the real world. These scholar-graduates become living examples of what the program stands for: Leadership, Integrity, Faith, and Excellence. Since its humble beginnings, the Real LIFE Foundation has financially assisted more than 1,000 scholars and produced over 200 university graduates. Indeed, the season of giving and sharing has arrived. 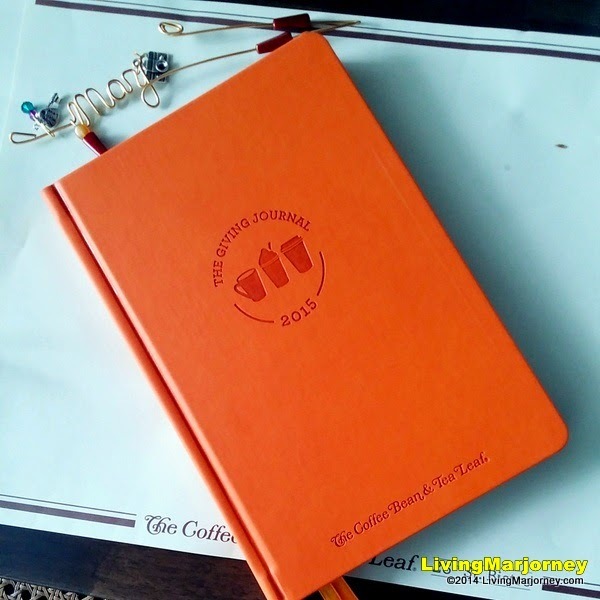 The CBTL Giving Journal is a pretty gift this Christmas, don't you think? Start collecting stamps!